I have a confession to make. I have a major obsession with all things Williams-Sonoma, especially when it comes to all of their perfectly perfect baking tools and supplies. Cake stands, pie plates, the loveliest shade of yellow KitchenAid mixers - you name it, I go absolutely bananas for each and every single piece. 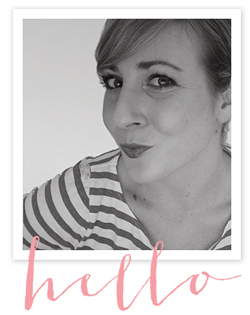 So of course I am beyond excited to share a giveaway with you that involves my favey fave, a.k.a. the purveyor of all things culinary. You guessed it...Williams-Sonoma is offering one of you lucky ducks a $200 gift card to buy whatever your little heart desires. Pretty fabulous, right? Next leave a comment on this post letting me know that you registered along with a little tidbit about the moment you knew he or she was "the one". I always love a good story after all. Also, you can receive an extra entry if you leave your public registry link in your comment. I'll announce a winner chosen at random on Friday,September 24. Good luck and happy registering! I'm such a WS fan!! I just added the Skybar Wine Chill Drops to our registry. My husband and I only registered in two places: WS and a honeymoon registry. Our WS Registry kept growing longer and longer and just when I thought it was outrageous, I would notice that it was complete. We have been so lucky! I knew Rush was the one pretty early in the relationship. I trusted him in a way I had never been able to trust a boyfriend. It's ludicrous how we are truly a perfect match. I added the Breville Panini Press because Rush is a sandwich nut. I think there were two stages to knowing he was the one. First stage was when we would stay up super later every night talking about anything and everything, and if I wasn't available to talk he would get upset/lonely/bored. And when I say everynight, I mean everynight. Second stage was after a couple months of us talking constantly and he had had major knee surgery and was laid up at his parents unable to drive and get out. I would drive the half hour to visit him and bring him yummy baked treats. He was having a rough time dealing with being laid up but was so much happier when I made the effort to be there for him. I added the yellow kitchen aid stand mixer. When I knew my husband was the one is up for debate. In a way, it was our first kiss (it was THAT kind of kiss). But it was undeniable when we our relationship became long-distance, and we looked for any and all ways to reunite over the course of those months apart. So exciting! My fiance and I just set our date - perfect timing for this giveaway! I just created our WS registry and the first thing I added was a panini press because my fiance loves paninis and I promised him awhile back that I'd make them for him when we were married! I knew that my fiance was the one for me on our third date. We sat in his car and kissed for a minute. When I opened my eyes, it was snowing outside! It felt so magical. This has to be the best giveaway that I eve could have imagined! I added several items because once I started, I just could not stop! I think my dream item on the list would be the Cuisinart 8-Bottle Wine Cellar. My hubs and I have Wine and Cheese night every Thursday and I think this could put it over the top! I met Jim when I was 18, but we did not start dating until I was 24. We always seemed to be running into each other and eventually we couldn't fight it anymore. After date one, I knew he was the one. Already registered and added Ceramic & Stainless Steel Canisters, Set of 3. There are many reasons that I knew, but one moment was when I said his last name aloud with mine, and never ever had anything sounded so perfect. Oh bummer. Wish I could register. Unfortunatley, my wedding days have come and gone. What a fabulous giveaway though! I knew he was the one the moment I laid eyes on him. Seriously, I looked into his big hazel eyes and my heart told me. He, on the other hand, took a few years, but it was after we lost our kitten together to a sudden and tragic illness that we knew we should be together forever. Although the death of an animal is small to some, we were both so deeply affected and we knew that we were the only ones who understood. After we lost a few grandparents, it was reiterated. We should stop wasting time dating and get married! The moment I knew was when we spent 14 hours in the car driving from New Orleans to Chicago - and never got bored or fought! It was actually way too much fun because he made me laugh the entire time! He didn't even get mad when I almost got caught by a cop going 90+ through rural Illinois. I was smitten the moment we met and knew he was the one after a few short weeks. He knew first and shocked me speechless one night with his confession....on the way to an 80's dance party. His hot pink garb and awesome do' kept me giggling all night long. I added the margarita maker - don't judge. I don't remember not knowing that he was the one. He was the first guy that I felt I could be 100% myself with. He makes me feel like the most beautiful, funny, smart woman and encourages me everyday. We are each others biggest fans and best friends. He is the guy I want to be by my side through all of lifes experiences and adventures! oooooh, I want to win! My registry: http://www.williams-sonoma.com/registry/2623960/registry-list.html. I knew he was "the one" when he came to Chuck & Erin's wedding with me (yes, the ErinEverAfter Erin) and I asked him to take pictures during the ceremony and he took 900+ pictures to make sure everyone caught EVERY moment on film. Hehehe. Even though I got married 6 months ago, I am hoping that I can still get a few goodies off my registry for Christmas (hint, hint mom and husband!) I just added the KitchenAid pasta roller attachment. Like you said, I could find a BAJILLION ways to use that $200. I knew my husband was the one when he moved home to Dallas for me! Thanks for letting me play! Oh, here is my public registry list. What an awesome giveaway! Even though I'm not engaged, I've been dating my boyfriend for 6 years. I knew he was the one before I even kissed him. It was only about a month after I met him and I was already dreaming of marrying him. I haven't met the one... but I've been told you'll just know. That you'll fall in love, then you choose to stay in love everyday thereafter. We registered at Williams Sonoma before but just added the amazing Mauviel M365 Copper 7-Piece Set! I love it! I have been registered at WS from day one, but I just added the Le Creuset 12-Piece Cookware Set, Lemongrass! I knew he was the one when he told me he loved me most because I was smart. It was the kindest thing he could have said! Now of course, everytime I am dressed up he says "MMM! I love you, you are soooo smart!" I registered just now, although I've been wanting to because we just love Williams and Sonoma. We particularly like Emile Henry (my fiance likes to cook and bake, too). 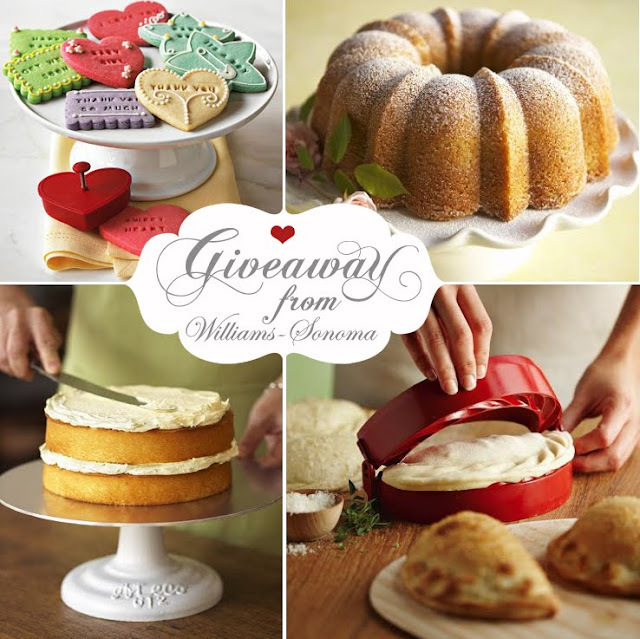 I'm loving this- http://www.williams-sonoma.com/products_r/6594543/?registryId=N2830770&fromrgl=1. I knew he was the one when we were best friends talking about how we wanted to spend the rest of our lives with our best friend. We have been together for 7 years and living together most of the time so we are taking our registry opportunity to upgrade some of our items around the house. Today I added the Professional Multi-Chopper. After watching their short video on it I just have to have it! Hi! Just added Calphalon non stick cookware because we cook together alot and would love new pans! I knew he was the one in 6th grade. Well maybe not then but he was my first "boyfriend" way back when. I was already registered at Williams-Sonoma, and added a Vitamix & the goldtouch baking sheets to my registry today! I just added the vic firth salt/pepper mills. Hooray! I knew my guy was the one after about a month of dating. He was the first person around whom I felt 100% comfortable and confident being myself. I also felt very secure in our relationship and where it was going, just something in my gut told me this was right! And now I can't wait to get married to Mr. Right next summer! I knew when we met in person after meeting online. Lots of sparks flew which matched the fact it was 4th of July weekend!